February promises to be another whopper of a Meetup as we welcome Simon Roberts, Head of Talent Acquisition for the UK&I and Nordic countries at Siemens. 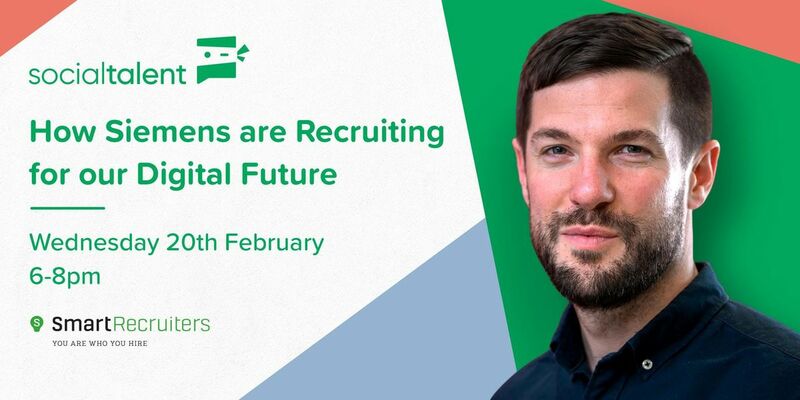 On the night we will be discussing How Siemens are Recruiting for our Digital Future.Simon has worked in the recruitment industry for 12years starting life as a Recruiter on the agency side before moving in house 8 years ago to join Siemens. At Siemens, Simon has been a Recruiter, Team Leader, TA Manager and is now responsible for 30 people across 4 countries. Simon project manages the recruitment of 1000 people in 18months for our Wind Power business and has lead the transformation of how Siemens recruit entry-level talent. His new challenge is to support Siemens recruit the right people for the future of our organization as we move to Industry 4.0!You can ask him about all of this (and Leeds United) at our meetup!